According to residents in some parts of the city, the police detained people even though they were protesting peacefully. in the last five years, the community has expanded its options and isn't hesitant to shift base. Mumbai: “It’s not a Maratha-Dalit agitation as you media walas have been trying to paint it. 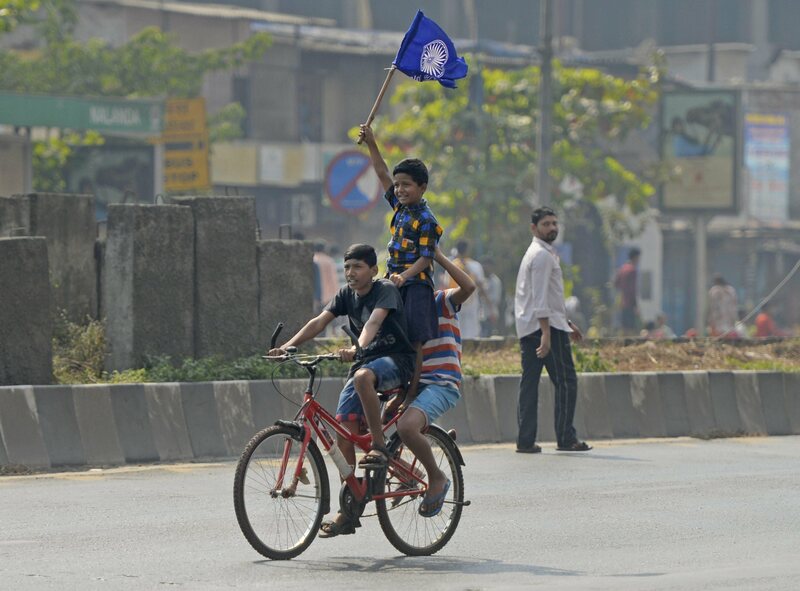 Our struggle is against the Brahminical forces which ruled for centuries and are trampling over our interests till date,” said Rahul Ahire, a 23-year-old IT engineer, when asked why he was participating in the Maharashtra bandh organised in the wake of violent attack on Dalits visiting Bhima Koregaon on January 1. Ahire was angry. The bus in which he had travelled from Mumbai’s Ramabai colony to Bhima Koregaon on the New Year’s Day was attacked. Over ten of the 50 people who had travelled with him were injured after stones were pelted at the vehicle as it neared the war memorial at Bhima Koregaon. Ahire and his friends had been to Bhima Koregaon on New Year’s Day to pay homage to the Mahar martyrs of the Bhima Koregaon battle, like every year. Dalit Bahujan and anti-caste activists have for decades observed January 1 as ‘Vijay Diwas’ to commemorate the defeat of the Brahmin Peshwa soldiers by a battalion of British East India Company comprising a number of Mahars in 1818. “These visits for us are a reminder that we are no more in the shackles of the Brahmins, and that not just can we fight our own battles, we can also win them,” Ahire’s friend Pravin Bagul said. Bagul also added that many who visit Bhima Koregaon are also from Maratha and OBC communities. “Mahars were a part of the British army. But several Shudra communities also have a history of having been a part of the army. They too had stood alongside the Mahars and fought the Peshwas,” Bagul said. 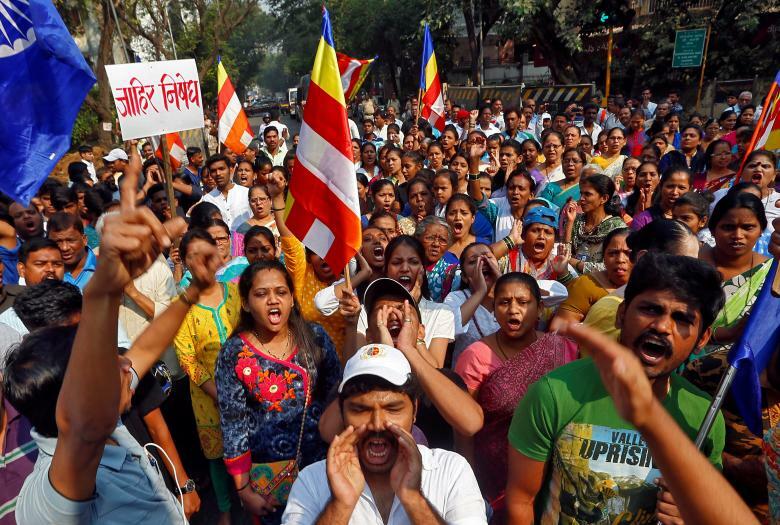 Anger simmered among those gathered at Ramabai colony in Mumbai early on Wednesday (January 3). Ramabai colony has a long history of anti-caste struggle; in 1997, ten Dalits were killed in police firing for taking to the streets after a statue of B.R. Ambedkar was desecrated in the colony. Although the call for a Maharashtra bandh was given by Bharip Bahujan Mahasangh leader Prakash Ambedkar, several big and small Dalit and Left organisations supported it fully. At most Dalit bastis in the city, where the agitation was more prominent, people across the party lines had gathered. “I am a BJP karyakarta (party worker). I work closely with Prakash Mehta. But when it comes to my people, I forget my party allegiance. Our issues are our priorities,” said Harshal Rawle from Govandi in Mumbai. The day began peacefully, with sit-ins at different places. Trains ran empty as many office goers simply stayed away and schools were shut. Similarly, most government offices wore an empty look as many decided to stay home to avoid being stranded midway to work. Others, who had managed to reach early in the morning, struggled on their way back home late in the afternoon. In some areas, trains were halted by protestors sitting on the track. By the afternoon, the situation was tense – the protestors, men and women of different ages, urged people to cooperate and stopped trains. Security was tightened at Dadar station from the early in the day as protestors sporting blue flags gathered outside the station. Shouting acerbic slogans against state chief minister Devendra Fadnavis, the protestors demanded the immediate arrest of Sambhaji Bhide, 85, and Milind Ekbote, 56, two prime suspects in the violence against Dalits on January 1. Mumbai police’s spokesperson, Sachin Patil, confirmed that no large-scale destruction was recorded in any part of the city. “Although a few cases of stone-pelting and skirmishes with police personnels were recorded from some parts of Mumbai, especially Chembur, Ghatkopar and Vikroli, the situation by and large remained within our control,” Patil said. Massive traffic jams were reported, but it was different from other bandhs in the city, when the Shiv Sena used to forcibly bring the city to a halt. By the end of day of Wednesday, Mumbai police had detained over 150 people in addition, to about 100 apprehended the day before. “These people have been taken into custody and due process of law has been followed,” Patil said. 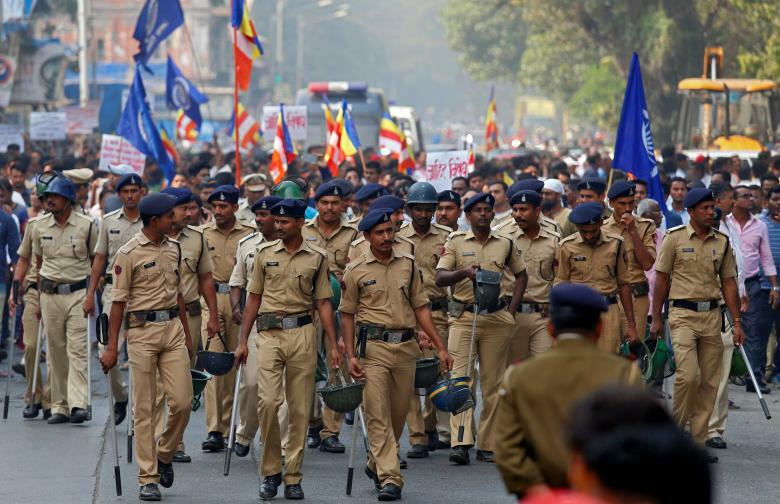 According to him, only “miscreants” were rounded up and taken into custody, but residents of Nalanda Nagar in Ghatkopar and Siddharth Nagar in Chembur alleged that most arrests made were arbitrary and people were randomly picked up. “Protests were mostly peaceful. Although people were sloganeering and verbally attacking the state, they had not resorted to any kind of violence. Still, three young men were arrested from our area,” said Harshu Salve from Nalanda Nagar. Soon after the police began to round up protestors, around 20 lawyers, all belonging to the Bahujan community, volunteered to represent those arrested. They reached police stations where people were detained and offered to represent them in the court. Darshan Ingole, a lawyer from Vikroli, was at Chembur police station soon after 15 men, all between 18-25 years of age, were picked up from the area on January 2. “They were arrested around 11 am on January 2, but were produced only at 6 pm today. This, only after we moved the court demanding arrested persons be produced,” Ingole said. Most arrested persons were placed in judicial custody and sent to Arthur Road prison.